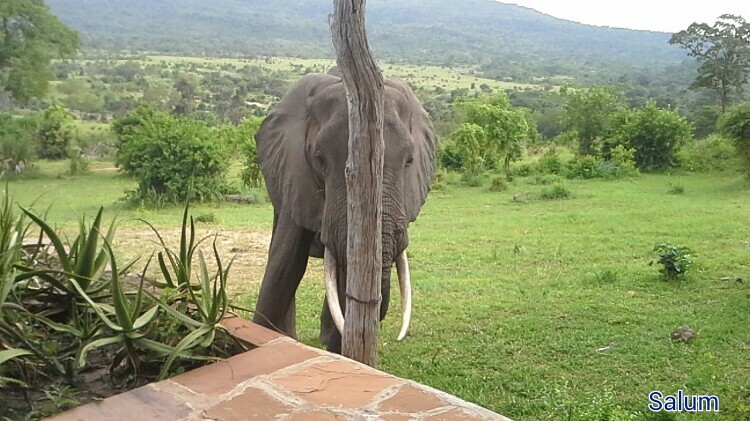 For about a week now almost every morning when I wake up I will find some elephants around my house or camp. Three days ago we had seven bulls in camp including Titan. I was late to work because of them blocking the path (bush traffic). 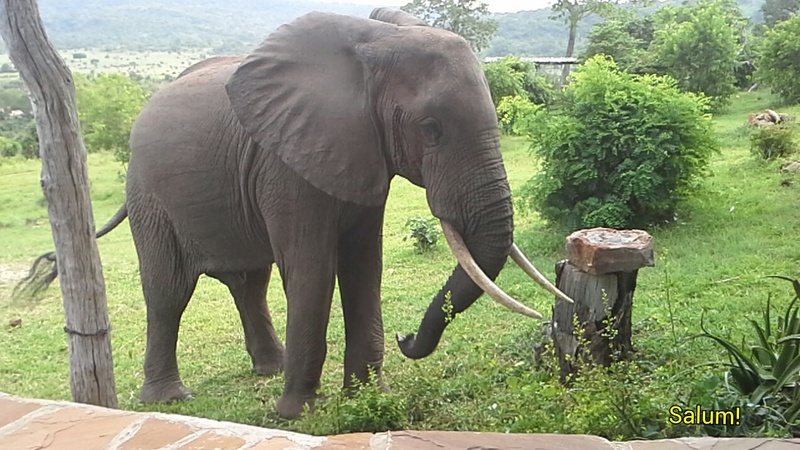 We have one young bull in his early twenties who is always in camp and he is so relaxed. He always reminds me our previous local Elephants Joseph and Bond. This afternoon at tea time he came so close to the main are as Joseph used to do but he didn’t steal our cookies like Joseph. He was so gentle feeding at the edges of main area as if he is our gardener maintaining our garden. He started at the terrace (parade ground) then he went to the right of the main area then near to the office then to the swimming pool and finally he went to the rooms. It is always nice to have such a gentle Elephant like him around. 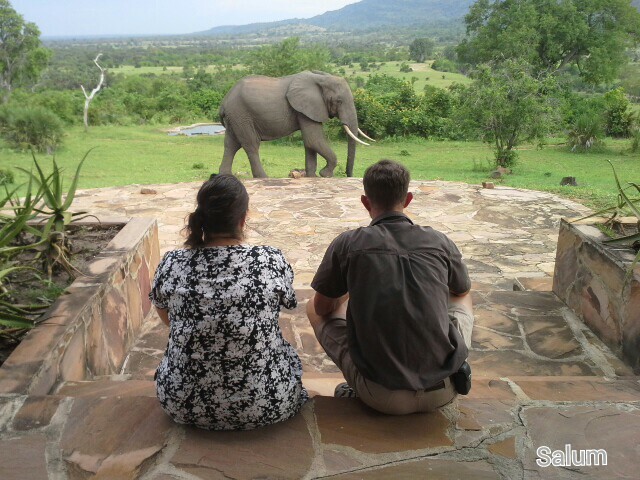 This entry was posted in Salum, Wildlife and tagged Beho Beho, camp, elephant, safari, selous. Bookmark the permalink. 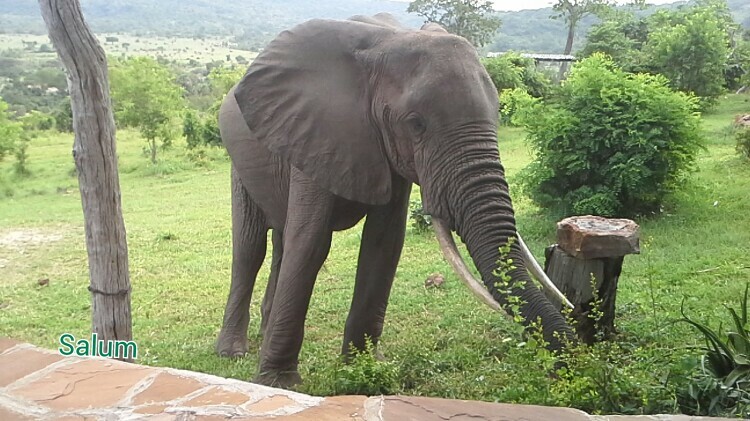 Please give him a good name……….I miss Joseph, Mjemi, Bond and Stumpy so it would be lovely to have an ‘in house’ elephant.